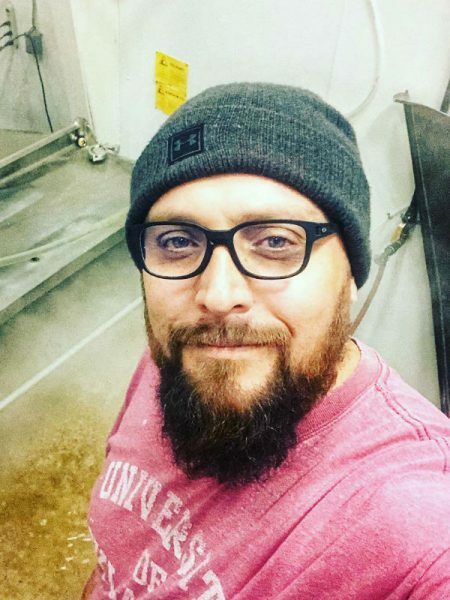 I’m the co-founder, managing partner, and brewer at Skydance Brewing Co. in Oklahoma City, Okla. I started brewing at home with my father, and my first job was as a bartender at a brewery in Norman, Okla. After 20+ years of homebrewing, I decided to open the brewery that my father and I had always dreamed of opening. What’s new at Skydance Brewing? Everything! We just brewed our first batch of beer in November at a co-op brewery we share with three other breweries called the Brewers Union. For our first IPA, we took the best of the NEIPA haze and fruitiness and applied a little of that West Coast bitterness that made us all fall in love with the style in the first place. We call it a Midwest IPA. For the first time in my life I’m in a business where products aren’t sold on price. Instead, our customers buy because of quality and because they can relate to our purpose. IPA and loaded chicken nachos! Raising two kids and somehow convincing the love of my life to spend the rest of her days with me. What’s your favorite beer style that your brewery does not produce? I really love my fishing trips to Montana—not just for the outdoors and fishing, but also because there are some really good small breweries there. Almost every city in Montana has a few brewpubs. I love fly fishing, camping, backpacking, and watching my favorite sports teams. Boomer Sooner!